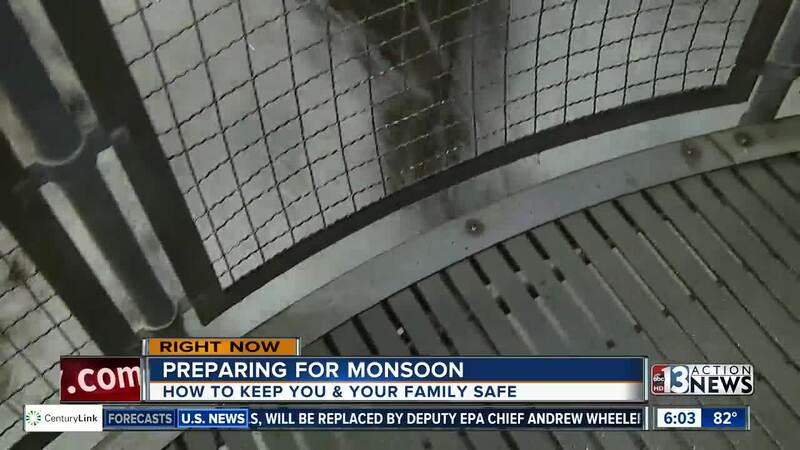 Are you prepared for this year's monsoon? Ahead of possible weekend storms, 13 Action News is visiting the flash flood exhibit at the Springs Preserve to give you a first-hand look at the dangerous downpours. 5,000 gallons of water fill the room at the museum to simulate how quick a flash flood can occur in the Las Vegas valley. "They happen very quickly and can be very dangerous," said Aaron Micallef. First, check if your home is located in a flood zone. The Regional Flood Control District has a list of flood zones across the county. If you are in a flash flood, find higher ground. Always try to stay inside. Turn around don't drown. A car or truck can be swept away in just a foot of water. Visit the Regional Flood Control District for more tips and prevention advice.